Jess Dugan is one of many professional photographers that often travel by air with thousands of dollars of equipment. Apparently, she had never had problems in the past, but it only takes one unfortunate occurrence to ruin your day, an assignment and maybe a career. That is what happened to Jess during a late December 2012 flight from Chicago to Boston on JetBlue. She discovered at the gate in Chicago that she had too much carry-on baggage and was required to check a bag that contained two professional quality cameras with lenses attached, a flash system and various accessories. Upon her arrival in Boston, she headed to the baggage carousel with her fellow passengers. She was probably greatly relieved when she saw her bag riding the carousel in her direction; however, when she grabbed it, it didn’t weigh nearly as much as when she checked it in Chicago. She suddenly found herself living the nightmare that many professionals hope never to experience: all the equipment was missing. She could only conclude that someone employed in the process of handling and inspecting check-in baggage had stolen her equipment. Jess was not a happy camper! Not only did this incident make it difficult to continue with the project she came to Boston to shoot, but also she would have to spend valuable time making inquiries of the airlines. Little did she know how frightening the nightmare would become. She, of course, immediately went to the JetBlue baggage desk to file a claim. Being a professional, she also took the added step of writing to a number of JetBlue executives, both to inform them of the incident and to request firmly, but politely that her claim be settled quickly…and for the value of the equipment. The replies to her letters were the typical corporate doubletalk that is highly apologetic, and then rambles for paragraphs about the integrity of the employees, how carefully they are screened, etc. and, oh by the way, the fine print in the Contract of Carriage with passengers does not obligate the company to reimburse you for your loss. Have a nice day! What corporations fear most in this era of social media is that the story went viral and the Web was suddenly filled with comments. JetBlue then did what has become standard corporate operating procedure and offered Jess a token $1,000, but as a travel voucher. Clearly, the person or persons who stole Jess’ equipment are primarily to blame for her loss. After all, whoever the culprits are, they are thieves and broke the law…and presumably retained their jobs at JetBlue since the incident was not observed or reported. Jess, unfortunately, must also shoulder some of the blame. Like many frequent air travelers, she was probably lulled by the whole routine of checking baggage, security, boarding, deplaning, retrieving baggage, etc. The grind of air travel can easily do this to even seasoned travelers; plus, it appears she had never had a problem like this previously. She let her guard down, however, and made a number of mistakes every photographer that travels by air with thousands of dollars of equipment should avoid. Even the most frequent air travelers forget that when they buy a ticket from an airline, they have entered into a contract, as defined legally. That small piece of paper that represents the ticket may only refer to this contractual agreement, but the corporate lawyers have penned a multi-page Terms of Service agreement that explains in fine print the obligations of both parties to the contract. Somewhere in JetBlue’s fine print it is stated that the company had no obligation to reimburse Jess, but she was probably not aware of that detail…or had never taken the time to read the fine print, as a means to protect his equipment. Based on Jess’ blog entry and subsequent social media reports, she was probably not using the most secure type of case or luggage to transport her equipment, especially for the checked baggage process. As another level of security, Jess should have acquired one of the many photography cases made specifically for air travel. Most are built very tough, to take the abuse of baggage handling, and have multiple locking mechanisms, including the use of heavy-duty padlocks, which the TSA allows. Most also conform to carry-on specifications, so they don’t have to be checked. Jess’ biggest mistake, however, and an important lesson for all photographers, especially professionals, is that she must not have had adequate insurance to cover this particular incident. It wouldn’t have been necessary to appeal to JetBlue for compensation if Jess had had the right insurance with the right insurance company. Always rely on the expertise of an insurance provider that specializes in serving commercial photographers and videographers, such as PackageChoice. 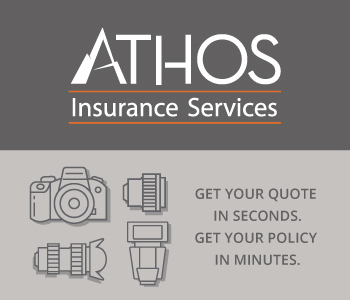 These professionals know the specific insurance coverage a professional photographer needs.